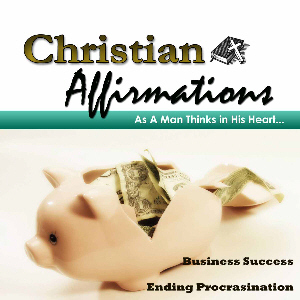 This CD contains Christian affirmations on BUSINESS SUCCESS and OVERCOMING PROCRASTINATION. Each recording includes an introduction, optional relaxation exercise, and two- sets of affirmations and scriptures read to uplifting music. Play affirmations while driving, working, cleaning, and relaxing. A successful business is built on specific principles. A clear vision, good planning, great customer service, faith-filled words and actions, and trusting God through the obstacles are necessary if your business is to grow and succeed. Listen to these affirmations and scriptures to stay focused on your vision and squash discouragement and doubt. Procrastination has been identified as one of the greatest hinderances to success. It’s so easy to put things off, waste time on unimportant tasks, give up too easily, and get discouraged at set-backs. These affirmations will encourage you to use your time wisely, eliminate negative self-talk, and perservere through discouragement.